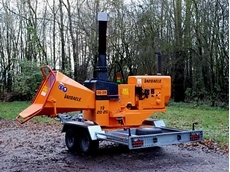 25/07/11 - Stocker-Crew introduces the Vandaele Wood Chippers and Stump Grinders to their product range with 10 different wood chipper models. 24/07/08 - Stockowners Shearing offers shearing clothing and related products. Shearing clothing from Stockowners Shearing includes shearer’s jeans, fleecy sweatshirts, fleecy summer and patched singlets and wool sweatshirts. 18/07/08 - Paramount Browns provide used, factory surplus, hardware equipment through online mode. All these equipment from Paramount Browns are manufactured according to the industrial standards. 17/07/08 - Paramount Browns offer a wide range of hardware and machinery components. Paramount Browns are dealers of scrap metals. New and used machineries are too offered by Paramount Browns.